enters in Castilla thanks to the pilgrims' road to Santiago de Compostela. The Neo Cueva of Altamira lies just two kilometres away, a replica of the Altamira Caves, one of Spain´s cherished cultural treasures, the main gallery was once described as the Sistine Chapel of the prehistoric era, has 150 engraved figures made by the Palaeolithic man and great polychromatic paintings. 2 min. from Torrelavega with its most prominent shopping districts. 15 min from the Beautiful San Vicente de la Barquera, a village of exceptional natural beauty where a mix of greenery, mountains, hills and beaches combine with the attractive of the town itself, has a recorded history dating back over one thousand years, features a castle, a fortified wall from the eighth century, and a church constructed over three centuries since 1210. 30 min. 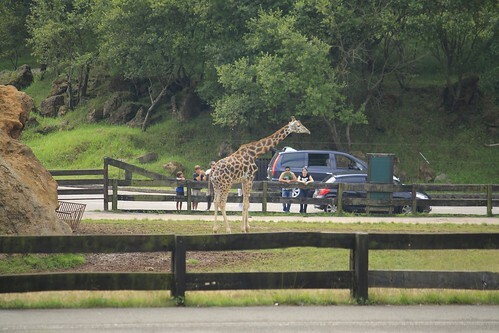 from Cabarceno Nature Park, located within the Peña Cabarga nature reserve, which functioned as an iron mine in Roman times, stretches over 750 hectares of land, 120 animal species inhabitate the park in semi-captivity. 15 min. from Santander, once the royal family's summer residence, in The Palace of the Magdalena, enjoys extraordinarily beautiful surroundings, El Sardinero is today one of the most elegant areas on the Spanish coastline and its bay is other great symbol of the city. 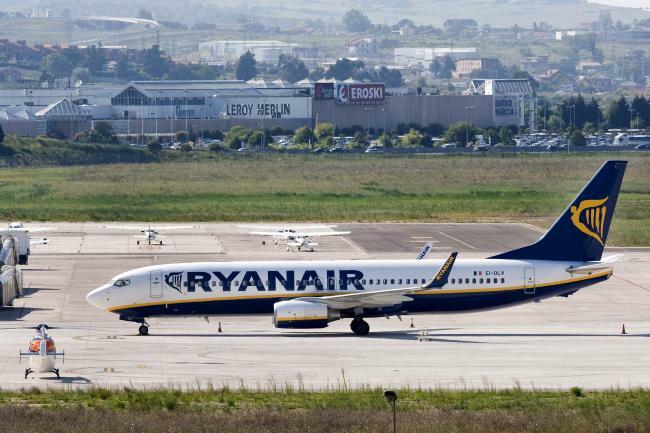 Santander came to life as a natural port used by the Romans, was known as Portus Victoriae Iuliobrigensium, although its present name is derived from Saint Emeterio (Santemeter, Santenter, Santander), a martyr whose head was brought there in the 3rd century. Thanks to Cantabria’s climate, the golf courses are well-watered and well-kept. 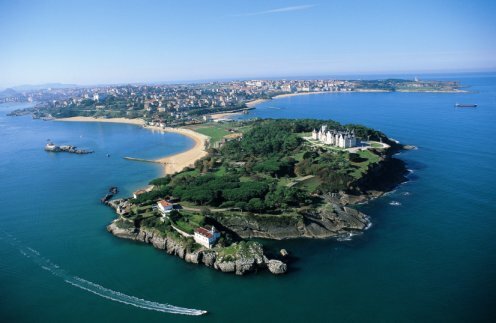 Probably the best-Known of them is the Real Club de Golf de Pedreña, with its position overlooking the Bay of Santander, is the home town of the great Severiano Ballesteros is just 10 min away from Santander. Very close Santa Marina glof Course, one of the latest courses designed by Seve Ballesteros, and Abra del Pas Golf course in the small town of Mogro just 10 Km. away. 15 min. from Comillas, " the village of the archbischops ", takes this name from having five native sons having become illustrious Catholic Bishops who subsequently played an important part in Spanish religious history. Attractive, noble and aristocrat, Comillas at the end of the 19th century was chosen by the king Alfonso XII to house his royal court for the entire summer period. Coincidently this period fell at the same time as the first appearance of Catalan modernism outside of Cataluña. "El Palacio de Sobrellano", built as the family house of the Marqueses of Comillas, a few metres further "El Capricho", the beautiful and extravagant creation of the master of modernism Antonio Gaudi. From the Capricho you can see clearly the University Pontificia situated high on a hill. Directly in front of the village lays the jewel in its crown, a charming white sand beach which seduced King Alfonso XII and his royal court just over a century ago. 10 min. from Cabezón de la Sal, natural doors to the Cabuerniga Valley, one of the most beautiful parts of Cantabria, rich in local culture, traditions and nature, features some of the best restaurants that serve excellent local fare. Located inside of Cantabria, Cabuérniga Valley is an impressive book that holds many secrets. You can complete your visit by observing elements of great architectural and environmental. 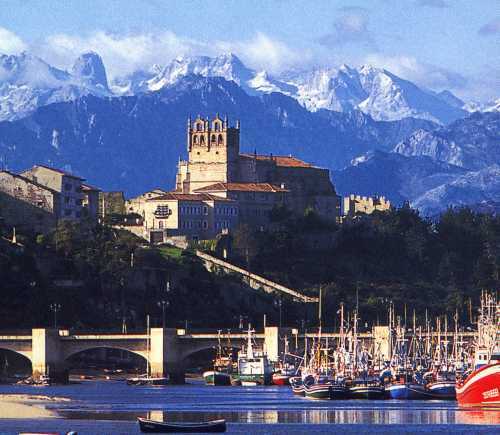 Palaces, centuries-old Mansions, rural stone housing with wooden balconies, churches, chapels, shrines, trails and paths that offer, without doubt, one of the greatest opportunities to enjoy the traditional taste of rural Cantabria. 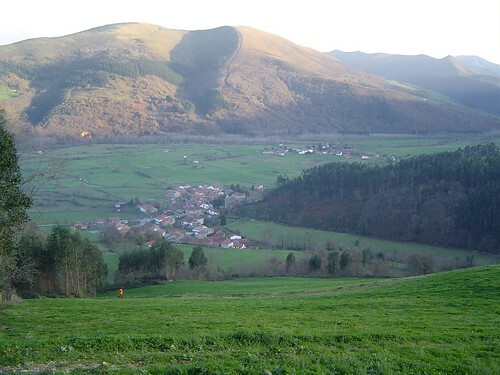 Bárcena Mayor is the only residential village within the Saja Natural Reserve, and is said to be the oldest town in Cantabria where one can find an ancient Roman Road that has been in continual use for almost two millennia. 45 min. from El Soplao, a treasure for all those who visit it. They can explore it during a route that is surprising due to the abundance, spectacularity and diversity of its eccentric formations, which are what make El Soplao "A Unique Cave". A true play of shadows and lights and a festival of sensations. Apart from its enormous geological value, the cave and its surroundings contain an exceptional industrial and archaeological heritage, with more than 20 km of tunnels. The cave is considered a single cavity worldwide for the quality and quantity of geological formations, a real masterpiece of the nature. In it are rare formations as helíctitas (estatalactitas eccentric defying gravity) and "draperies" (sheets or translucent banners hanging from the ceiling). Its formation dates back to the Mesozoic, a period 240 million years ago. El Soplao Cave has been already baptized as the "Cathedral of the Geology" as it has the highest amount and best quality of eccentric formations (multidirectional stalactites) in the world. The eccentric formations are so important because they break the gravitational force, growing multidirectionally from the stalactites in capricious ways. 45 min. from Potes and Liébana. Potes is one of the most attractive villages in the northern of Spain. The village is in the centre of the Liébana region, an area that is surrounded by spectacular mountains, with running streams and rivers. It streets have many bridges, as well as buildings and monuments with centuries of history, such as the Infantado Tower and the Orejón de Lima Tower (15th century). The Monastery of Santo Toribio de Liébana is located near Potes and is one of the five places of Christianity that, together with Rome, Jerusalem, Santiago de Compostela, and Caravaca de la Cruz, has the privilege of perpetual indulgences, since within its walls remains the Wood of the True Cross (Lignum Crucis), the biggest surviving piece of the Cross upon which Jesus Christ was crucified. Because of this, the monastery is an important pilgrimage centre, and is one of the important holy sites of Roman Catholicism.